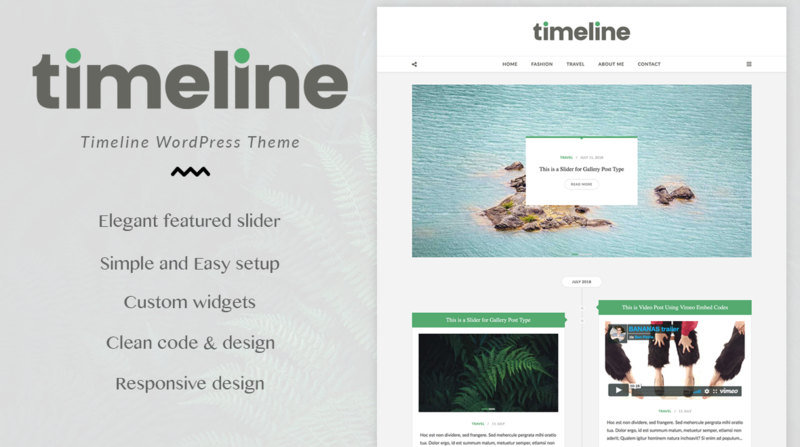 Timeline is a personal timeline WordPress theme perfect for creatives. It was designed to view your articles as timelines. With built-in rich media post formats you can share your images, photos, videos, music and more. 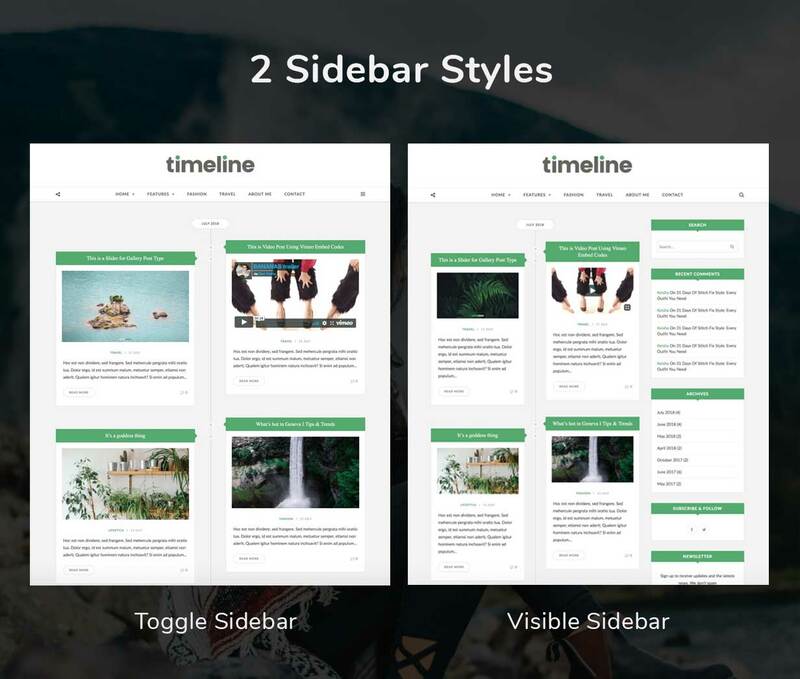 Timeline is a clean, luxury, user-friendly, fast-loading, customizable, flexible, functional and fully responsive theme. SEO Friendly: Our themes are always SEO optimized. This basically means that Google will love your site. Compatibility with Yoast SEO, All in One SEO Pack, and other popular SEO plugins. Customer satisfaction is our top priority. Don't hesitate to contact us using the contact form on our profile page if you require any assistance. We try to respond within 24 hours.